Death has changed its focus in the last 300 hundred years. In the past the elderly, ill or injured would lay on their death bed surrounded by family and friends tending to their comfort. Mutterings of the dying person would be heavy with emotion and philosophy. The experience for people in attendance was intense and conclusive, providing an opportunity to reflect and justify ones life. Economic changes brought about by the industrial revolution changed many ways of life including death. In the US 32 % of all deaths occur in hospitals, around another 20% occur in nursing homes and with people living further away from loved ones its more likely you will be dying alone. What was a potent and poetic example of Closure in our life has become efficient and meaningless - bordering on denial.These changes in Closure are echoed across other parts of life, some having further reaching consequences. Here are a few quotes that outline our changing attitude towards Death - from an intimate and personal experience in Medieval times, too a cold, functional and lonely experience in modern western cultures. Death was a ritual organized by the dying person himself, who presided over it and knew its protocol. Should he forget or cheat, it was up to those present, the doctor or the priest, to recall him to a routine which was both Christian and customary. It was essential that parents, friends, and neighbours be present. 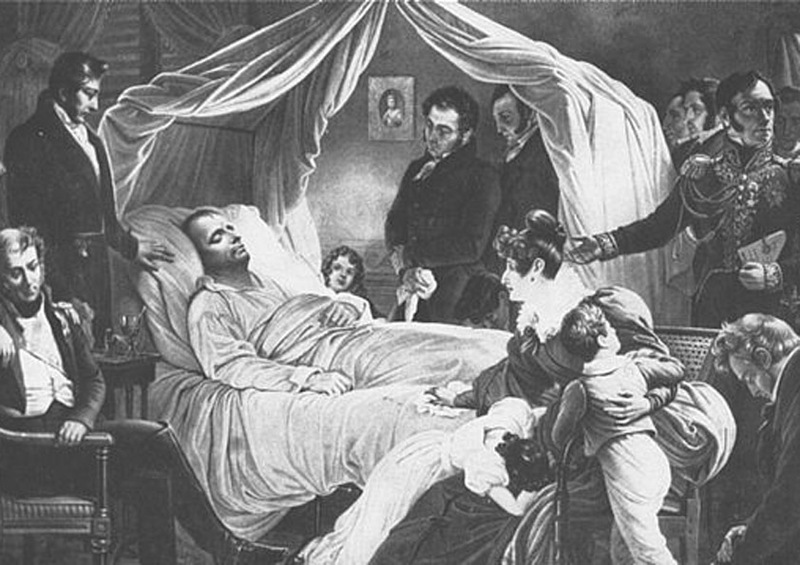 Children were brought in; until the eighteenth century no portrayal ot a deathbed scene failed to include children. And to think of how carefully people today keep children away from anything having to do with death! Death in the hospital is no longer the occasion of a ritual ceremony, over which the dying person presides amidst his assembled relatives and friends. Death is a technical phenomenon obtained by a cessation of care, a cessation determined in a more or less avowed way by a decision of the doctor and the hospital team. Indeed, in the majority of cases the dying person has already lost consciousness. Death has been dissected, cut to bits by a series of little steps, which finally makes it impossible to know which step was the real death, the one in which consciousness was lost, or the one in which breathing stopped. All these little silent deaths have replaced and erased the great dramatic act of death, and no one any longer has the strength or patience to wait over a period of weeks for a moment which has lost a part of its meaning.